A state appeals court has intervened in the securities fraud case against Attorney General Ken Paxton, putting it on hold as his lawyers try to get a new judge. Hours after Paxton’s team requested that the Dallas-based 5th Court of Appeals get involved, the court on Tuesday issued a stay of all proceedings in the case until further notice. The court gave all sides until May 23 to respond to Paxton’s effort to ditch the judge, George Gallagher. The order by the 5th Court of Appeals means there will no longer be a hearing Thursday in Houston on a prior attempt by Paxton to install a new judge. In their filing with the 5th Court of Appeals on Tuesday morning, Paxton’s lawyers argued that once Gallagher changed the venue, “he was statutorily prohibited from entering further orders or continuing to preside over the case without the statutorily required written consent of” Paxton and his team. In a subsequent letter to the appeals court, prosecutor Brian Wice argued the court did not have the jurisdiction to consider Paxton’s request to remove Gallagher. The court has also set a May 23 deadline for Paxton’s lawyers to respond to Wice’s letter. This is another instance where the news moved faster than I did. Originally, Judge Gallagher scheduled a hearing for Thursday to take up the question of whether he needed to hand the case off to another judge. Then Paxton filed his emergency motion with the 5th Court of Appeals, and then they stepped in. Beneath the fold is all of the blogging I had done on this, which is now mostly of historical value. All I can say at this point is that after all the work Paxton’s team has done to remove Gallagher, it would be hilarious if they get their wish but then don’t get any more favorable handling from whoever succeeds Gallagher. Read on, and the DMN has more. 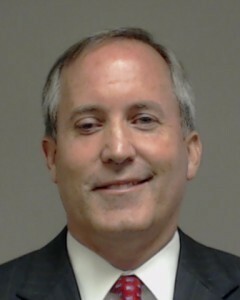 The highest criminal court in Texas said Wednesday it will not hear Ken Paxton’s appeal of securities fraud charges, putting the attorney general on a path to facing a trial in the coming months. The decision Wednesday was made by the Court of Criminal Appeals, which Paxton’s lawyers had asked to review the case as a last resort before trial. Without comment, the court announced it would not consider the appeal. The decision makes the prospect of the state’s top lawyer sitting through a trial more likely than ever. The proceedings could start as early as next spring. With the good news comes the bad news, I guess. This doesn’t mean that the CCA couldn’t step in to save Paxton later, after a conviction on one or more charges, it just means that they don’t see any reason for them to stop a trial from happening in the first place. So a trial we will have, barring the exceedingly unlikely event of a plea bargain. Stock up on the popcorn, y’all. Trail Blazers, the Current, and the Lone Star Project have more. Better settle in and get comfy, because this could take awhile. An appeal by Attorney General Ken Paxton, who is seeking to dismiss charges that he violated state securities laws, will extend at least into spring, with a strong chance of a ruling being delayed until summer or later. The Dallas-based 5th Court of Appeals has given Paxton’s lawyers until Feb. 22 to file a brief arguing why they believe the felony charges should be thrown out. Prosecutors will have until March 14 to counter the arguments. This type of pretrial appeal is expedited under state law, making it less likely that either side will seek a deadline extension. But if the court decides to hear oral arguments instead of ruling based solely on the briefs, resolution of the appeal would be pushed further back. The charge of failing to register as an investment adviser representative should be dismissed because Paxton was registered with the U.S. Securities and Exchange Commission, trumping the state registration requirement. The state failure-to-register law should be thrown out as unconstitutionally vague because it does not provide sufficient notice about what acts are prohibited. All three charges should be tossed out because the Collin County grand jury that indicted Paxton was improperly formed. Paxton’s indictments were upheld by trial judge George Gallagher in December, so this is the next step in the process. If the 5th Court rejects the appeal just on the briefs then things may speed up, but if not then remember we are potentially measuring the time frame in years before we get a resolution. The trial itself is on hold until these appeals have played out. Stay patient, we’ll get there eventually.